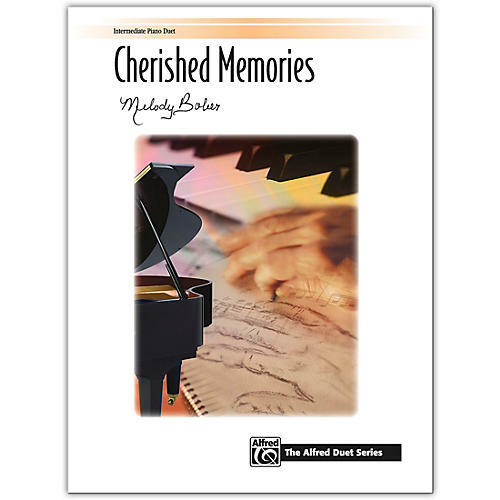 This expressive duet features lyrical melodic lines accompanied by sweeping broken chord patterns. Both the primo and secondo parts carry the melody at different times, and the 3/4 meter creates a gentle flow for the tempo. Beginning quietly in G major with just the accompaniment, it then slowly builds to a climatic key change to B-flat major with rich chords supporting the melody in each part. The end fades away in both parts to a final chord in the primo.